Are you happy with the service you get from us? 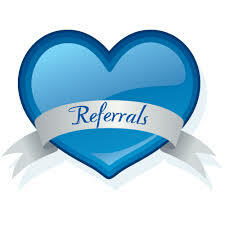 Refer us to your friends today and reap the rewards! If you’re happy with the service you receive from us, why not recommend us to a friend or business contact who might also be looking for the same great IT service & support you already receive? Well, there’s a choice of 3 fantastic rewards for you or your company up to the value of £150! Sound knowledge that they are in good hands and working with a recommended company that you know will sort out their IT needs and support them through it! Once we have established a relationship and contracts have been signed, we will be in touch to find out which reward you would like. As soon as you do this it will be on route to you.